Looking for flashy fleet wraps and vehicle graphics? Contact the experts at United Signs. Vinyl graphics for your fleet introduce an element of fun into your ad campaign, as well as exposing your message and product to a much larger audience than a traditional campaign would. Our Metro Atlanta Sign Company has served the Atlanta Area since our founding in 1981. We’re based in Atlanta, and we serve clients throughout the Southeast. 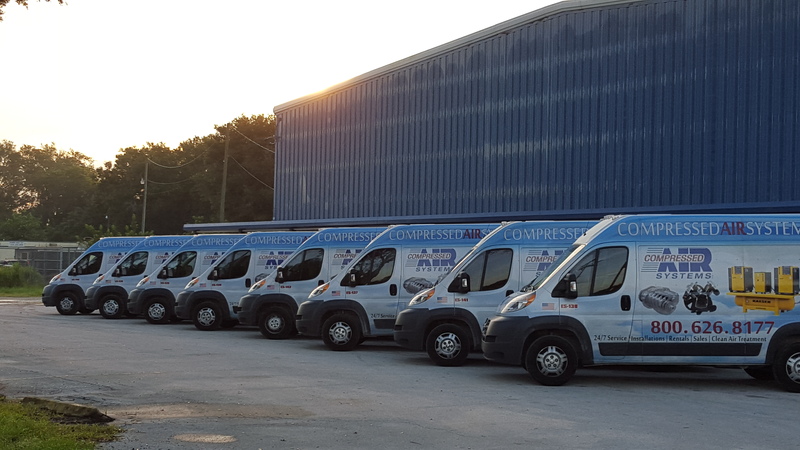 Let us know your commercial and aesthetic specifications, and our fleet vehicle wraps design experts will manufacture the fleet graphics that your company needs. Our vinyl graphics are applied over your company’s vehicle’s surface. They don’t interfere with driver or passenger visibility, and they’re exceptionally durable and weatherproof. Need customized Fleet vehicle wraps? Contact United Signs. Fill out the FREE, no-obligation contact form located at the top of the page for more information, or call us today with your Fleet graphics requests.